Evidence amassed in Troubled Times indicates that, much like in the modern world, violence was not an uncommon aspect of prehistoric dispute resolution. From the civilizations of the American Southwest to the Mesolithic of Central Europe, the contributors examine violence in hunter-gatherer as well as state societies from both the New and Old Worlds. Drawing upon cross-cultural analyses, archaeological data, and skeletal remains, this collection of papers offers evidence of domestic violence, homicide, warfare, cannibalism, and ritualized combat among ancient peoples. 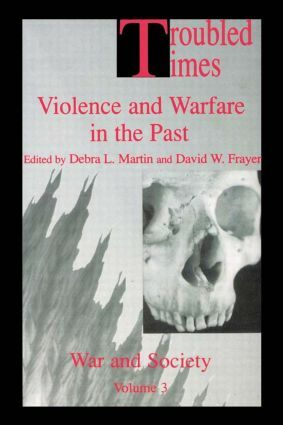 Beyond the physical evidence, various models and explanations for violence in the past are explored.